As you know the TEECH Christmas Shoebox appeal is in progress, with enquiries and notifications of boxes coming through daily. Huge thanks to those taking the time to do them and already sending them through. The above map shows the locations where we know boxes are coming from (so far) from schools, individuals and groups of work colleagues. As mentioned last month, it takes a while to sort all the boxes by location ready for loading in December, therefore we ask for boxes to be with us as soon as you can. Its never too early. Ideally all boxes would be with us by the end of November or if you are local to our stores in Essex, early December. If you send boxes through BT then please drop them off by the end of November if you can. Please download our poster below for the instructions and the stickers to place onto your boxes. TEECH have been lucky enough to receive another large donation from the Colchester scooter club DVLC which will be used to support the Christmas trip to Romania and Moldova. Some of the money will be used to purchase food items so we can make up parcels to hand to the elderly and more vulnerable families. After a presentation by Vic Tallowin, Christchurch Colchester have also made a cash donation and supplied shoeboxes, clothing and blankets. Thanks goes to all those helping to raise funds and making the decision to support TEECH year after year. 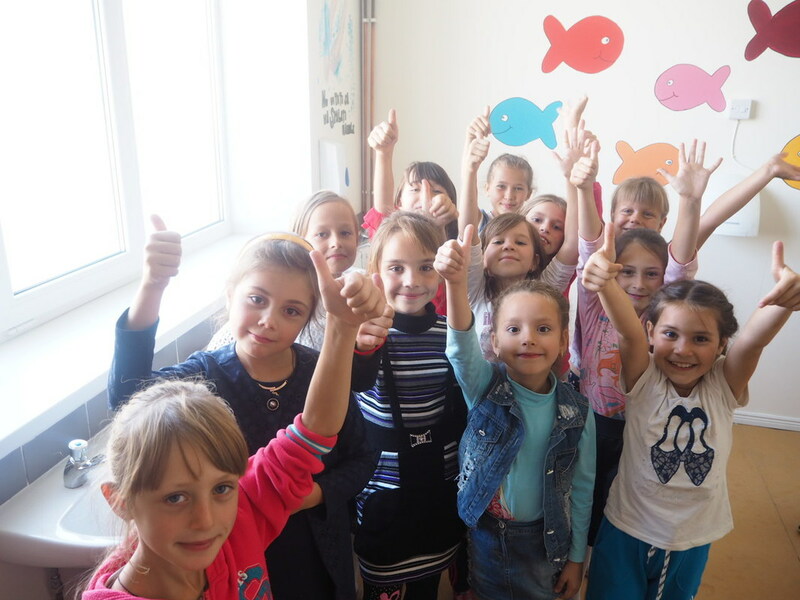 Following the hard work by the team of volunteers on the summer trip, the school have sent through pictures of the Children returning to school, using their new bathrooms and opening some of the supplies we left for them to use. Further photos can be viewed here. Thank you for all your super clothing donations, we continually received good quality mens, childrens and ladies (always lots of ladies!) clothes. If you have items to send through to us and can hang onto them until the new year this would help us out. We have limited storage whilst we tackle the shoeboxes :-) so please start sending through clothing from January. The lorries will be loaded for the Christmas trip on Saturday 23rd December, therefore all shoeboxes will need to have arrived and be sorted beforehand! We will have a sort and pack day on Saturday 16th December also.